An energetic, innovative marketing professional with over 20 years’ multi-channel experience, working with organisations of all shapes and sizes from start-ups to big global brands. 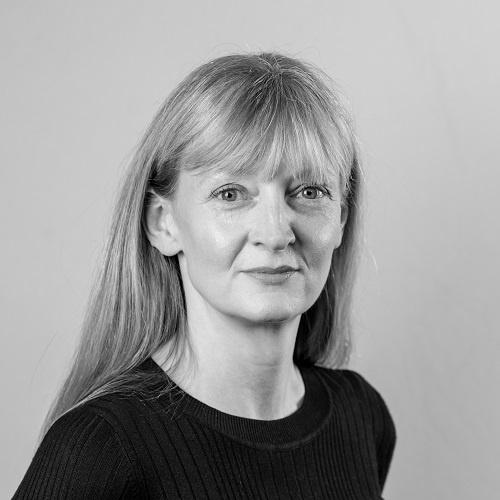 Fiona’s key expertise is in building stand-out brands, creative customer-centric messaging and effective relevant campaigns that add value to an organisation. She’s a confident strategist and team leader, skilled at selecting and managing supplier portfolios and building effective business relationships. Fiona’s background has included key roles both client and agency side, principally in travel and tourism, financial services, retail and automotive sectors. Her most recent clients include SME companies in technology and business services. Create and deliver a UK-specific approach for the new regional sales office that rapidly builds awareness and optimizes lead gen with a restricted budget. From zero awareness I’ve built the UK Twitter audience to 25% of global total. I also led a PR agency review to appoint a better, cheaper and keener partner, going on to achieve an audience reach of 3.6m in 8 months. Developed a clear messaging strategy for leading educational app, and promoted it via an inbound content-led campaign including social, email, PR and web development. Achieved great audience engagement and open rates of 45%. Led the UK consumer facing comms team to produce outstanding direct response off-to-online campaigns. Introduced an innovative data-driven customer relationship programme to improve past guest engagement and rebooking stats. Implemented global rebrand across all business functions in the firm, leading and facilitating internal sell-in of the concept and maintaining brand guardian role. Managed rapid store launch expansion programme at the height of Comet’s success, creating locally relevant campaigns to maximize new store revenue and market share. Implemented the brand’s high profile national advertising campaign with complex retail-driven content, tight deadlines and multiple variants. Can children have too much choice in education?